What a wonderful day on the harbour! The forecast breeze arrive ten minutes late but was as expected. 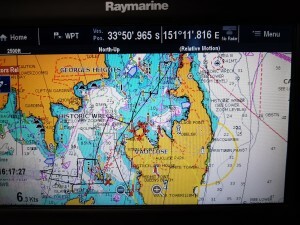 We made a good start at the pin end of the line and were able to cross most of the fleet on the first tack back. After that the wheels fell off our wind shift selection and it is a wonder we made it to the top mark in the place we did. When Hitchhike came back to the fleet from the right hand side we had to take her stern and that was just one of many sterns we took. Despite the slight outgoing tide the tacking angles look like we were beating into a big incoming one. Not that the yachts around fared much better as we would do well on one tack and lose on the other. Joli went well to windward, found themselves on the wrong side of a right hand shift but made it up on the next left shift. Allegro was back early on the beat but picked the north side for the approach to the top mark and won big time. We were chasing Krakaota, Crosshaven and Trim on our side of the course and we were all surprised to see Fidelis coming in on Port well ahead of us having been on the favoured side on the last shift. Once around the top mark we poled out our large 44m2 No 1 genoa and stayed mid stream in the slight tide. The yachts ahead, and there was a bunch of them including Crosshaven and Joli, went too close to the shore and into a light patch. We were now chasing Allegro and slowly we made ground. Crosshaven worked back out into the breeze and made ground but lost it again going too close to Steele Point. Joli went wide but we were also wide and keeping a watch on our clubmates. We did not catch Allegro. 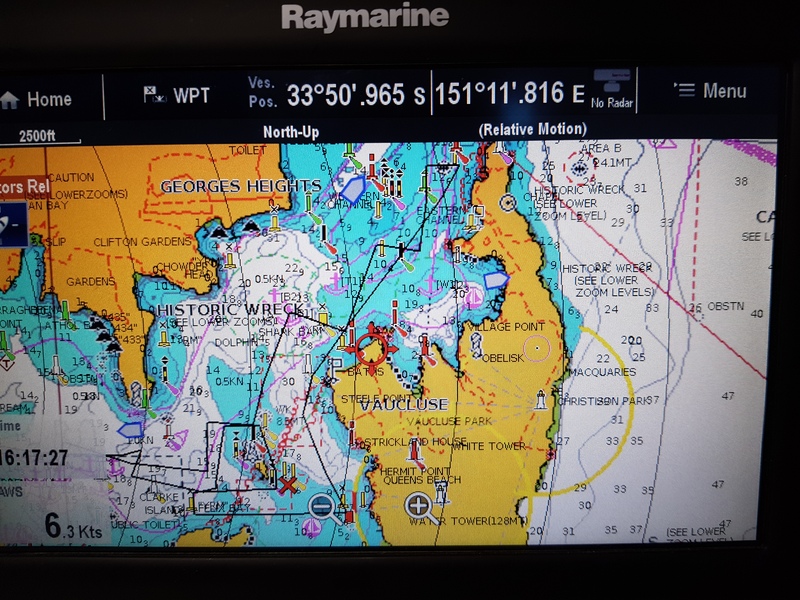 The closest we came was on the work back to round Shark Island but again they picked the correct side and drew away enough to hold us out to the finish. Hitchhike took the gun from Foreign Affairs, Arunga and Allegro with Passion X next just 20 seconds in front of Joli. Handicap honours went to Co Co from Trim who looked dangerous all day and The Biz. Hitchhike finished fourth in front of Rainbow and Arunga with Passion X just beating Allegro by three seconds. On progress points Hitchhike and Joli are on 23 points from Allegro on 25 and Passion and Trim on 29.